Blowout Sale! 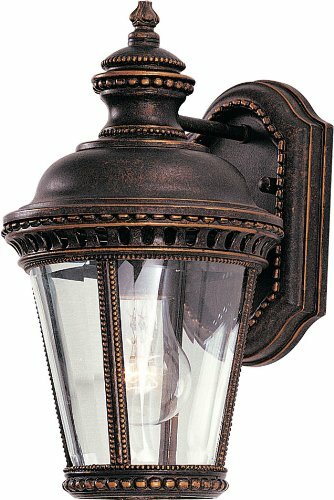 Save 79% on the Feiss OL1900GBZ-LED Castle LED Outdoor Patio Wall Lantern, 1-Light, 14watts, Bronze (7''W by 12''H) by Feiss at Verso Laquila. MPN: OL1900GBZ-LED. Hurry! Limited time offer. Offer valid only while supplies last. In 1955, Murray Feiss started his company offering a small assortment of porcelain figurine lamps topped with his mother's hand-sewn lampshades.